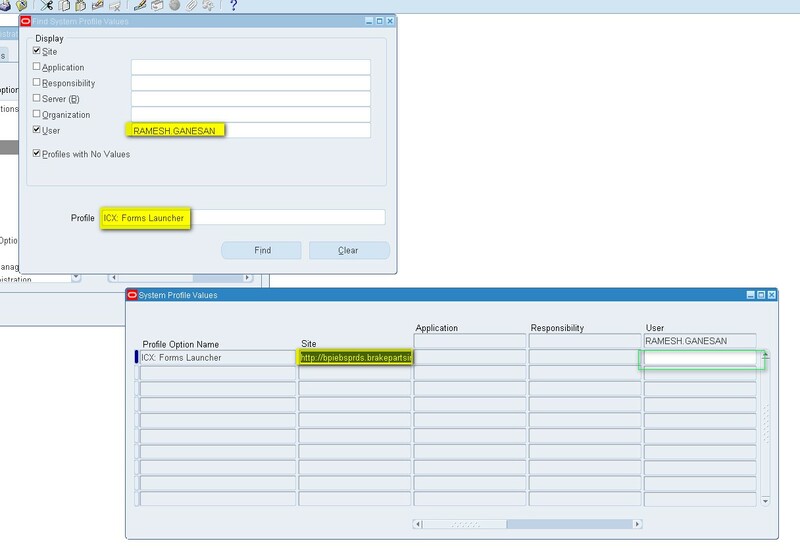 This document shows how to use Forms Runtime Diagnostics using Profile Option at user level. First verify if Forms using Socket or Servlet. Login on to Application Server, and check the cfg file to verify the “serverURL=”And “connectMode=” settings. We will be using method “Obtain FRD Trace Using Profile Options” in this example. 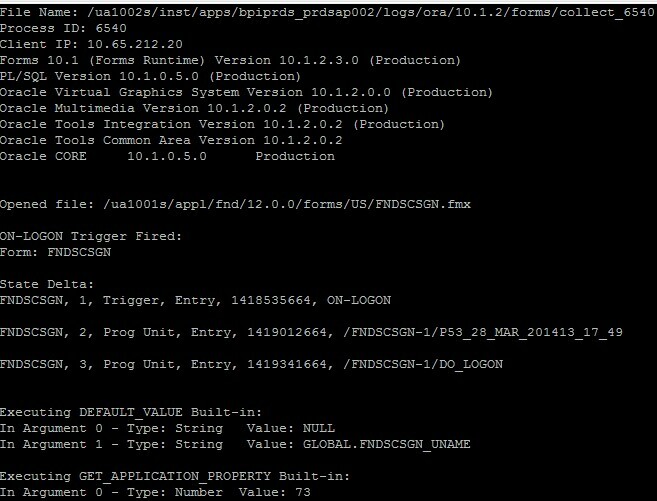 Copy the site level value for profile option ‘ICX: Forms Launcher’ and append values’?record=collect’. Past it at the user level. Copy the modified value to the User level and Save. Login into Oracle Applications and launch forms via self-service. Navigate through the steps to capture trace. Should get below prompt when you login to Form. Obtain the Trace File. It’s in $FORMS_TRACE_DIR, where<pid> is the process identifier.